Do you know someone who loves beer? Here's the perfect gift! 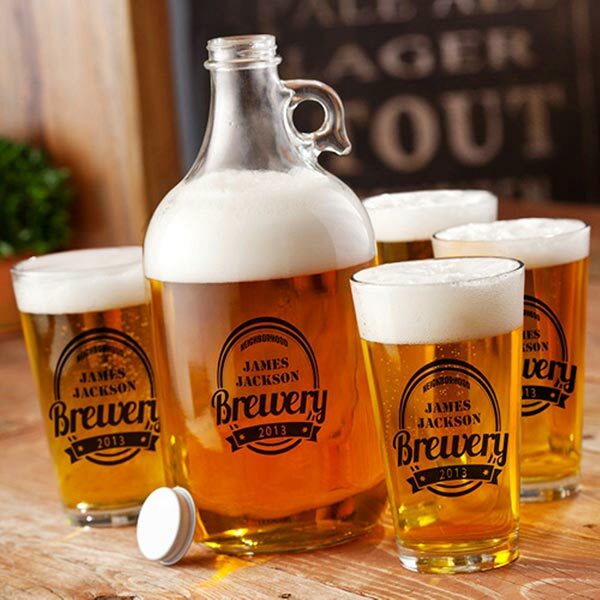 Personalized Brewery Growler Set includes a 64 oz growler and 4 printed pint glasses. Ideal for homebrew, craft beer or any beverage. Printed by hand, personalize with 2 lines of up to 8 characters per line. Black ink. Same personalization on growler and glasses. Allow 2-3 weeks for delivery. No rush or gift box. Item can only be shipped within the Continental US.